We are committed to finding solutions that empower your business to reach its full potential. Our partnership doesn’t begin with an off-the-shelf product. It begins with you. Your challenges. Your needs. We collaborate with you to create custom solutions – whether it’s a singular offering or a full suite of solutions – that truly work for you. Our engineers are integrated into every part of the process to ensure that our solutions fit seamlessly into new and existing operations – plus you can test before you invest. Today’s fast-paced marketplace means you are challenged to do more, produce more, and safely move more product than ever before—and usually that means juggling it all with the same or less resources. For over half a century, our business has focused on finding new ways to solve new problems and respond to the ever-growing demand for greater efficiencies. At Cannon Equipment, we understand the problems you face, and we leverage our experience to help you solve them. What we value about Cannon Equipment is the quality of their solutions and their openness to listen to us, evolve and adapt their equipment designs to meet operational needs. Check out some of the custom solutions we’ve designed for customers like you. 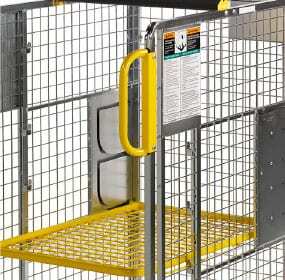 Move more product with greater efficiency, speed, and safety. 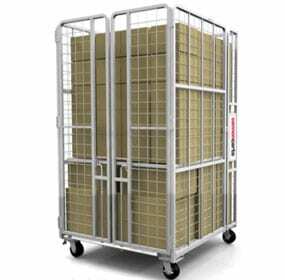 We produce carts for material handling, transporting, stocking, and displaying your products. 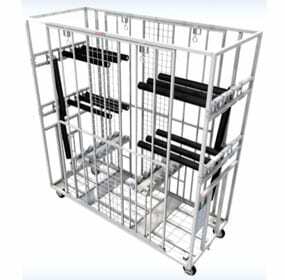 Whether the best solution is from our tried‑and‑true line of standard carts or a custom design guided by your unique needs, we’ll work together to explore all of the possibilities that will help you enhance your processes and workflow. 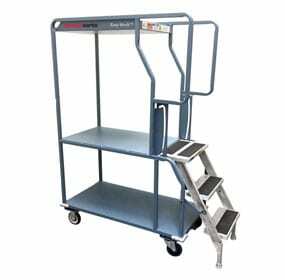 Contact us for your own custom cart solution. 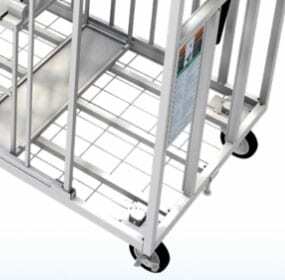 Designed to safely transport fragile items, such as windshields, this cart helps prevent loss and reduce your investment in expensive packaging and labor. 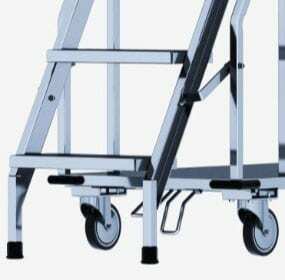 Eliminate the need for pallets with carts that can handle more weight, stack your product higher, and perform more efficiently than traditional pallet carts. 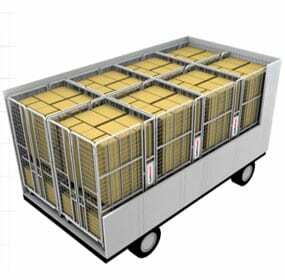 The Pallet BusterTM requires no additional packing materials to keep your packages secure; simply load the cart and close the doors. 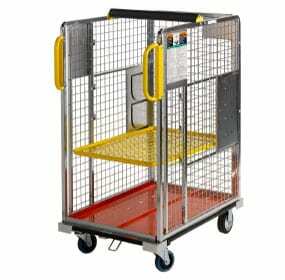 Designed to move safely and efficiently within warehouses, these carts provide secure storage and transportation for large and small partially completed goods, parts, or subassemblies. Cannon Equipment’s experienced team of engineers and supply chain experts create purpose-built solutions that improve efficiency, maintain safety, and protect human capital to maximize your profit. Whether you need process automation, conveyors, palletizers, case packers, stackers, cart loaders, washers, robotics, system controls, parts, or something else, Cannon Equipment has a solution to fit seamlessly within your operations. Contact us to learn how we can create a custom machinery solution for you. Identify damaged pallets before they fail – preventing product loss, damaged packaging, and decreased efficiencies. 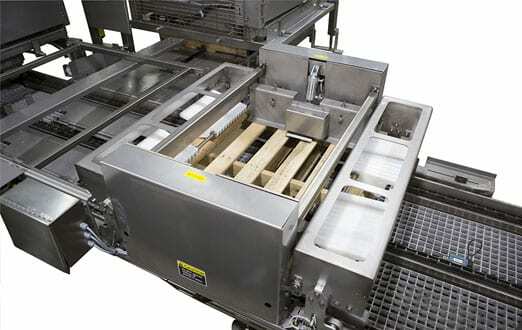 The Pallet Checker is a patented, automated inspection station designed to check all pallet types and reject pallets that are likely to stop your line or damage your products. 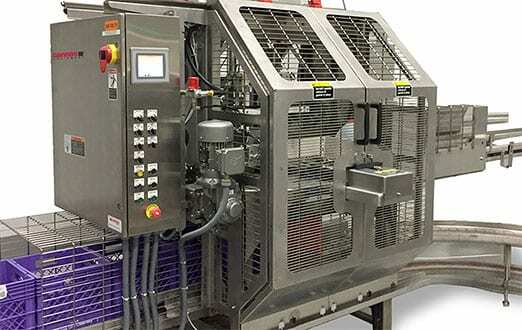 Integrate this machine into your existing operations or use it as a stand-alone system. When downtime is not an option, call Cannon Equipment. We provide unmatched after-market service and support. Critical tune-ups and replacement parts ensure your operations run smoothly, consistently. If a part you need doesn’t exist, we’ll design it – anything, including bearings, cables, fuses, motors, valves and more. Rely on Cannon Equipment to keep your business at peak performance.